Product information "ALUKAP-XR Glazing Bar End Cap"
Part of the ALUKAP-XR system! Cast aluminium End Plate with durable powder-coated finish for closing ALUKAP-XR Ridge on the gable end. Tough and long-lasting flat ridge end cap with a durable finish that will look great for years to come. 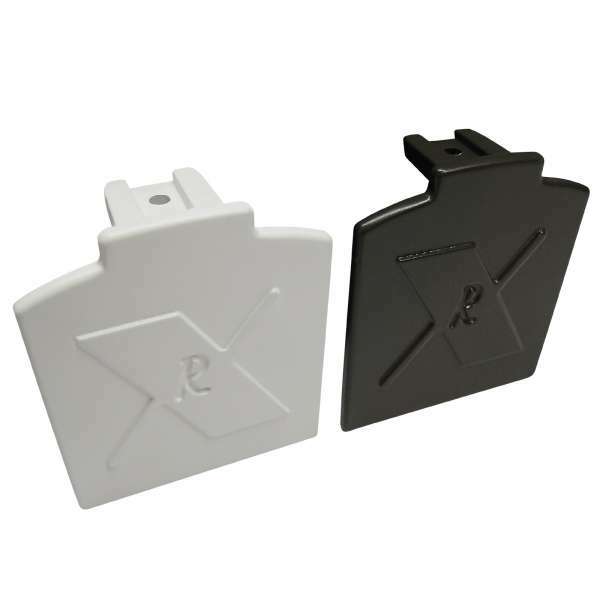 ALUKAP-XR Ridge End Plate is available in White, Dark Brown or custom RAL colour. The End Plate is fitted to the Ridge Base once that has been fitted to the timber ridge. Secure to Ridge Base with screw through hole in End Plate tongue. Related links to "ALUKAP-XR Glazing Bar End Cap"
Customer review for "ALUKAP-XR Glazing Bar End Cap"